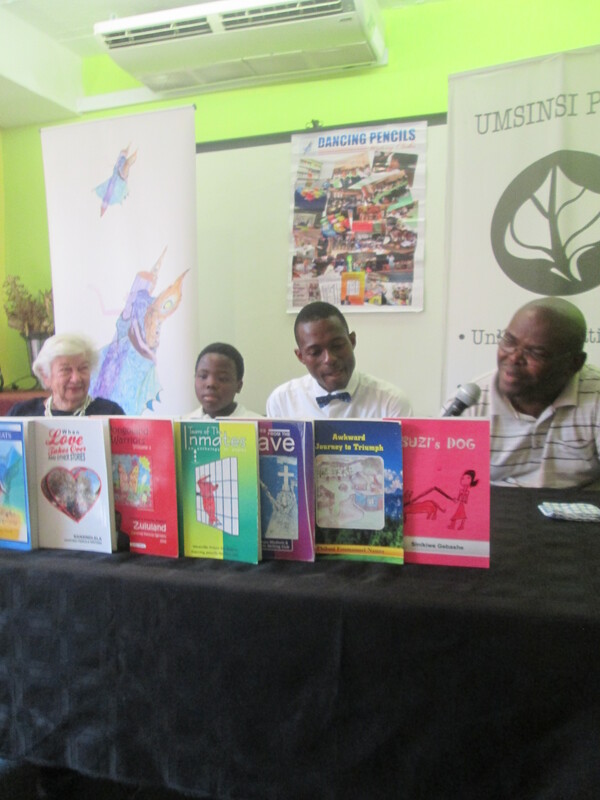 Time flies, we had a very successful book launch in Ulundi Old Legislature on the 7th of September which is an international literacy month. 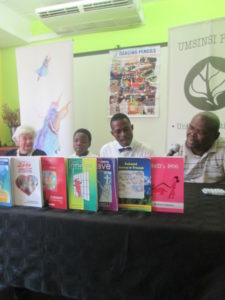 This was done in partnership with the Ulundi Local Municipality and we are proud to have published and launched 24 book titles during the Ulundi book launch. We then later realized we have to cater for Durban and surrounding authors to afford them an equal chance to have their artworks published and launched on the 10th of November 2018 at the BAT Centre in Durban, KZN. We are expecting a number of Dancing Pencils Writing Clubs but particularly they would be more adult authors. These includes our long serving UmSinsi Press published author Mr Khulekani Magubane. He is launching his 21st book title this year titled “This Love Thing: A New Age Love Story”. Khulekani started publishing in 2004 and since then he has never looked back. He is now a parliamentary based journalist in Cape Town and works for Fin24 media. Last year in 2017 September, he published his 20th book title “The Sirius Squad: Earth’s Last Defence. Khulekani Magubane author of The Sirius Squad, Earth’s Last Deffence with Felicity Keats during 2017 Dancing Pencils Book Launch at the BAT Centre 8 and 9th of September 2017 8am to 14pm..
Durban University of Technology journalism alumnus, Khulekani Magubane has published an African sci-fi book, that incorporates pop science fiction related to outer space and African belief systems which are associated to the stars. Being the rarest (the book) of its kind, the book titled: “The Sirius Squad Earths Last Defence”, tells a story about a young man from Durban named Menzi who finds out the truth about himself and realises that he is one of the few things standing between the world and total destruction. According to Magubane, the central theme of the Sirius start system is an important part of the beliefs of an ancient tribe from Mali called the Dogon. The Dogon in Mali somehow knew about the stars in the Sirius solar system before Nasa “discovered” them. Magubane discovered his love for storytelling at a young age and had his first book published in 2005. His creative writing skills grew and with many other books being published since then, he hopes that his future remains rooted in writing. “I want to work in the writing environment as much as I can, and see what can be accomplished. I have some plans for the near future that I will be revealing in due time. For now, I want to complete the Sirius squad series of books, launch a novel about online dating (by next year) and release some other titles I have been working on for the past five years,” said Magubane. From his book, Magubane wants readers to learn that the African ancient culture, knowledge systems and faith systems are not any less than those from around the world. “I also want people to know that Africans are capable of writing and telling great sci-fi, just like the developed world. I want people to know that this book is not only a great sci-fi book, but is also a great sci-fi book which finds its inspiration exclusively from African belief systems about the stars,” he added. With research being his main challenge when writing this book, Magubane advises journalism students to get rooted in the news environment to familiarise themselves with the environment. “Diplomas and degrees in Journalism are critical in getting a foot into the door, but the only way to become a truly great journalist is to actually do it,” said Magubane. 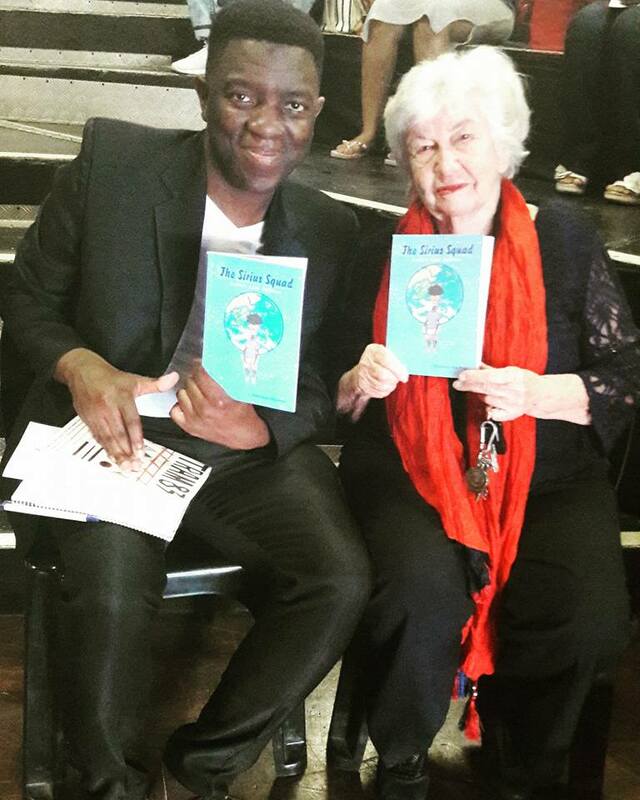 The book can be ordered via info@dancingpencils.co.za at just R80. The above blue highlighted story of Magubane from the DUT website was covered by CARLY VAN DER WESTHUIZEN. One of our notable adult author this year is a lovely man who is an ex-offender but have adjusted magnificently into the community with the help and support from the life skill transferred to him by Felicity Keats. Mr P.Nzuza telling his story on Right Brain during our press briefing last year at the BAT Centre. Felicity gave them (prisoners) the Creative Right Brain Writing lessons at the Westville Correctional Service, Maximum B for three years. In 2014, Mr Philani Nzuza produced a lovely series of eight short stories and making up his book titled “Ubogawula Ubheke”. Have read his book we have realized a number of factors affecting our society because of indecisive decisions and uninformed decisions which lead into miserable living and outcomes. Now we sending this message to all the right brain creative writers and UmSinsi Press authors. Today (10 October 2018) is our final day for texts submission for the 2018 second book launch on 10 November 2018 at the BAT Centre.